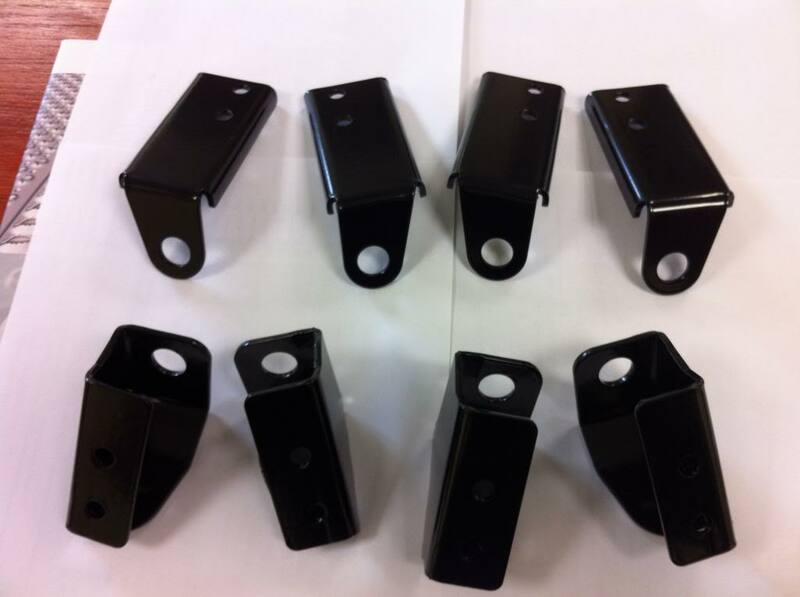 These are replica's of the Genuine TRD seat brackets that have now been discontinued. These are fabricated from 3mm thick mild steel, welded and powdercoated in satin (semi gloss) black. I get these done in batches of (4) - currently (3) on hand. A batch takes about 4-5 weeks to make normally. If i have them on hand i will do my best to post the day after payment. I'm interested to get a pair . Replied to your pm's speed. This is the last set I have in hand. I will get the next batch cut, folded and welded ready but will wait on the powdercoating until somebody orders.